Many of the sisters in the Buchan congregation know the pain and grief of miscarriage, losing a child soon after birth or a stillborn child. 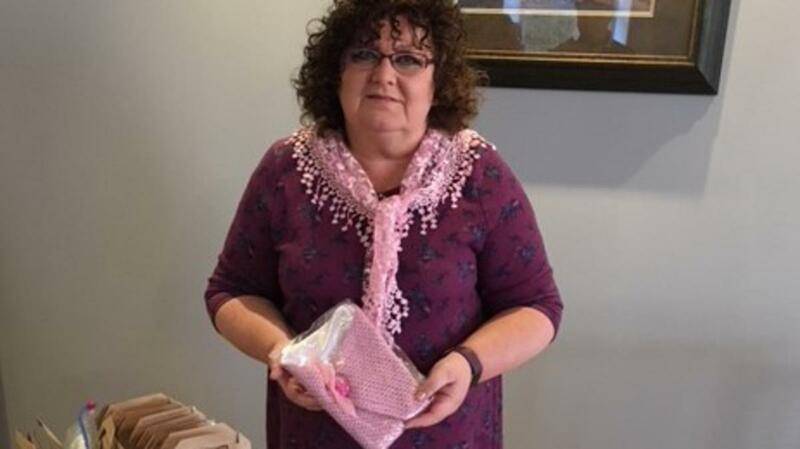 For the past five months, Maureen Dunbar taught and encouraged women to knit and sew the tiny silk-lined blankets, knit tiny cardigans and sew tiny white dresses that were delivered to Rubislaw Ward of the Aberdeen Maternity Hospital. Rubislaw Ward is a dedicated ward of 7 single rooms where women are cared for with early pregnancy complications, early pregnancy loss and late pregnancy loss. The staff are very experienced in looking after women and provide a caring and safe environment during this difficult time. 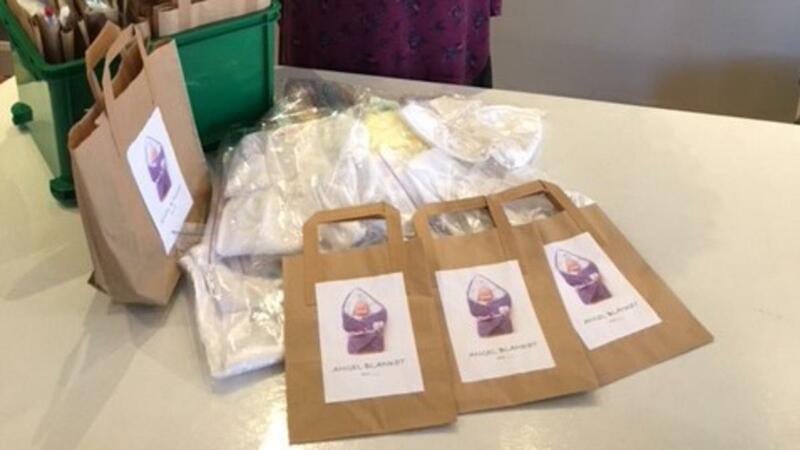 'It was not the easiest project we have undertaken' said Sandra Coull, Relief Society President, adding that many stories were shared and tears shed as they worked together to produce the beautiful items that would clothe stillborn and newborns who had died soon after birth.